Back in February 2012 the UK government announced a £50 million graphene drive, which included £38 million for the national graphene institute (NGI) at the University of Manchester. This world-class facility is set to open in 2015, and today we hear that European Regional Development Fund (ERDF) awarded £23 million towards the NGI, in one of their largest awards ever. 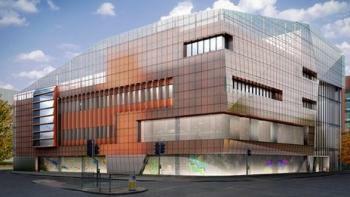 Manchester University also has interest in two graphene companies, 2-DTech (wholly owned) and Graphene Industries. Last month we reported that the EU committed to a ten-year €1 billion graphene research program (called FET - Graphene Flagship). This project includes 74 partners and is coordinated from Sweden.